Meet Anthony Delcros from the Scotch Malt Whisky Society. It’s no surprise that he’s pursued a life in the hospitality industry after being raised in his parents’ restaurant on the west coast of Ireland. Now he’s busy creating a selection of whisky-inspired cocktails at the Society’s Kaleidoscope Whisky Bar at 28 Queen Street. 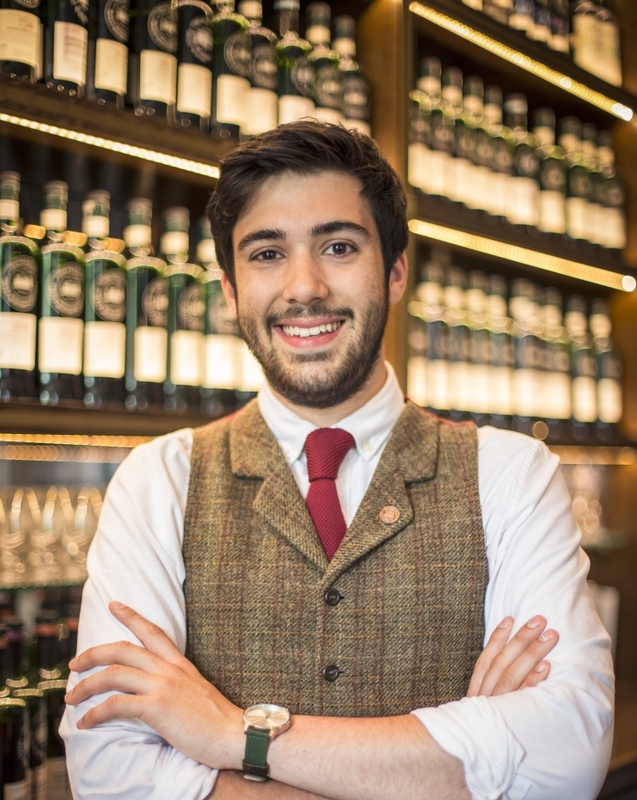 After studying catering in the south of France Anthony worked in the bar industry, before landing his dream job in Edinburgh with The Scotch Malt Whisky Society. Anthony says that there’s so much variety in the society’s single cask whiskies and flavour profiles that when creating a cocktail list for the Kaleidoscope Bar, he was surrounded by inspiration. The ever changing selection of bottlings means he is always thinking about ways to create intriguing cocktails with a whisky twist. Why not pop into the Kaleidoscope Whisky Bar at 28 Queen Street, EH2 1JX, Edinburgh.